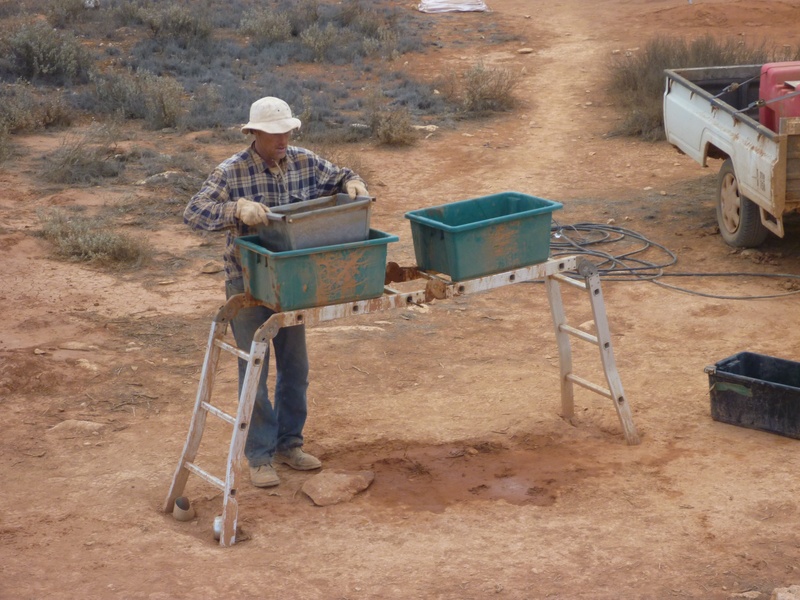 Palaeontologists from Flinders University have been excavating at a fossil site known as “Bone Gulch”. Despite the ominous name, it’s a picturesque location 20 minutes west of Wentworth, NSW. 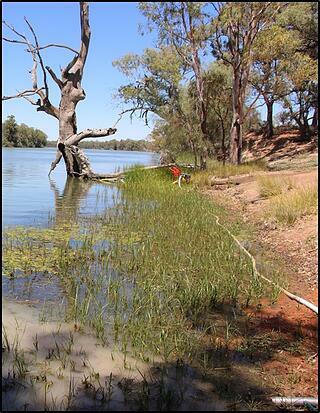 The site is noticeably different from typical desert sites due to its proximity to the banks of River Murray. The site has large shade trees, clear water and abundant wildlife. The site’s fossils are small, fragmented bits of teeth and bone that are suspected to have been deposited along the Pliocene/Pleistocene boundary. The boundary between these two epochs is a poorly represented age for Australian fossils. This gives Bone Gulch the potential to fill a gap in our knowledge of Australia’s prehistory. A variety of fossil remains have been recovered from the palaeo sand dunes that form a ridge above the existing flood plain. The excavation’s goal is to recover the fossil remains of the animals that inhabited the region. 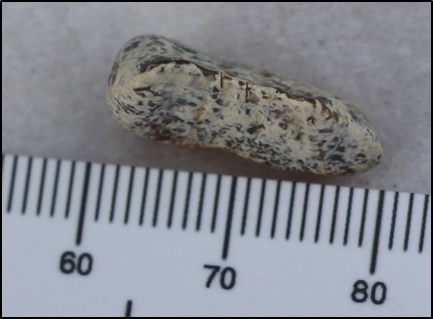 From a palaeontological perspective, small fauna provide needed information about past habitats and climate due to the fact that they generally require very specific conditions to survive. For example, the remains of a swamp-loving Water Rat compared to those of a desert-dwelling Kultarr would provide evidence indicating vastly different palaeoenvironments. The recovery process requires running tons of sediment through a 1 mm mesh. The sediment is collected and then processed in the lab where fossils are separated from the sediment and sorted. The choice of 1 mm screens allows even the tiny molars of rodent-sized creatures to be recovered. There are two available methods of screening fossils: wet or dry. Dry screening produces large clouds of dust, is rough on fragile fossils and is hard work. Wet screening is gentler, cleaner and easier, but requires large volumes of water. 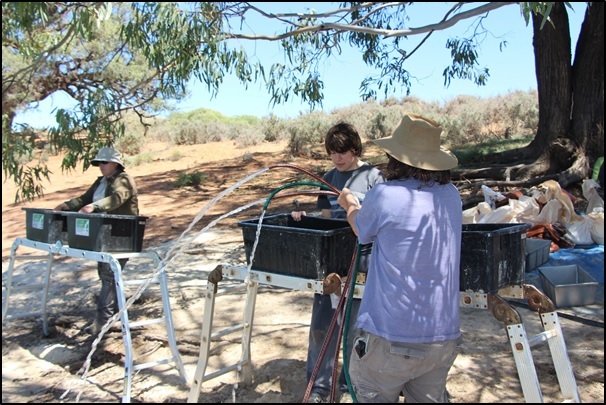 Fortunately, Bone Gulch has Murray River allowing large amounts of sediment to be wet screened, which in turn reduces the bulk that must be transported to the lab. 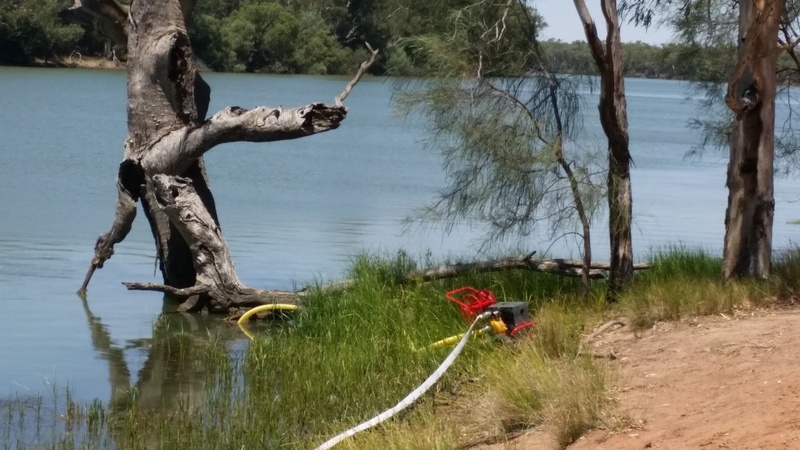 Unfortunately screening in the river itself is not optimal; the water becomes silty, creating a hazardous work environment from slippage, hidden snags and lifting wet sediments. Therefore there are several logistical issues that must be resolved before wet screening can be utilised. 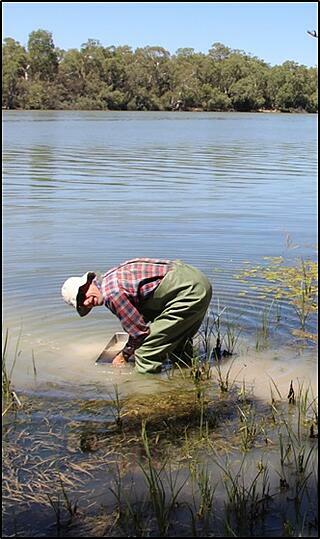 Foremost is the fact that water is heavy; moving large amounts of water takes a toll on researchers’ backs. Secondly, the fine sediment silts up the river, creating physical hazards as well as environmental concerns. The solution was to purchase a pump and bring water up to the riverbank, through the screens and into a settling pool, thus eliminating the need for heavy lifting and the water would be returned (percolating through the ground) without polluting the river. 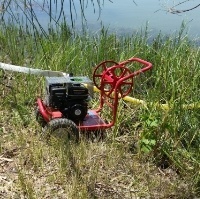 The idea of constructing a custom-built pump was suggested and several designs were rejected before it was realized that little to no idea of what size, shape or type of pump was needed. This led to Global Pumps. The team was searching for advice on a robust, portable, simple-to-operate pump that would provide the required volume of water without crushing the fossils with high pressure. Fortunately, Global Pumps was able to help and soon had an appropriate pump mounted on a wheeled base with a custom-made manifold. This enabled the simultaneous operation of six screening stations, a rate of productivity that had never been experienced before. 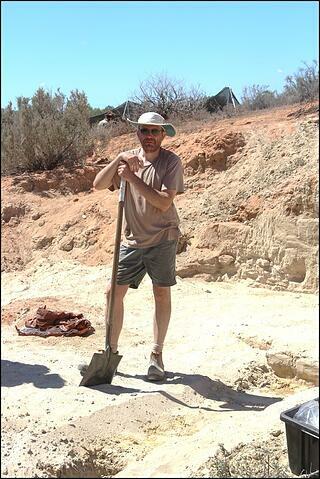 In February 2016, a large group of paleontology students descended onto the sandy dunes of Bone Gulch and excavated many tons of sediment from the site. The bulk of the sediment was reduced some 70-80% by using the pump and manifold supplied by Global Pumps, resulting in a major leap in productivity for research at the locality and a welcome relief for those who had previously done the work by hand. One of the larger fossils- a premolar from an extinct kangaroo. Now just shift all of that sand down to the riverside…. The new Pump lurking in its natural habitat. Fill the tub, screen the sediment, empty the tub- then rinse and repeat. Global Pumps (formerly All Pumps Supplies), a major provider for industrial and mining pumps, is an Australian based company founded in 1977 to fulfil the need for a versatile and service oriented specialist supplier, sourcing pumps and pumping systems from around the globe. Global Pumps deliver complete solutions for customers located throughout Australia, including a technical service division that performs onsite installations and servicing.